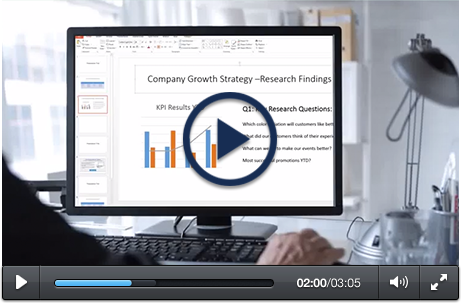 Easily Create And Distribute Your Own Employee Assessment Surveys Using QuestionPro. Start Today For Free! You can easily create surveys using your smartphone or tablet - Question is fully optimized for mobile devices as well, so you can make questionnaires on virtually any platform. 1. The Template Library: In QuestionPro, there is a giant library filled with over 100 ready made surveys, available for editing and customizing. Take a look at the library here, including templates regarding employee assessment. 2. Importing: Let's say that you have questions already and would just like to use those. You can easily import them into QuestionPro's editor using Microsoft Word. 3. Blank Survey: If you need to simply start from scratch, you can certainly do so. 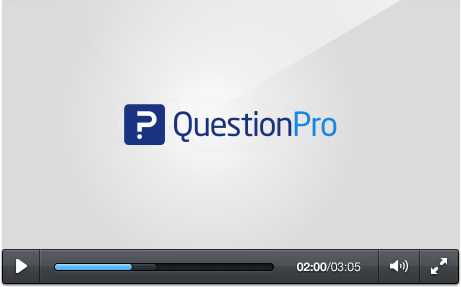 QuestionPro offers you over 30 question types and various customization options. An employment questionnaire helps gauge whether or not an employee is qualified for a certain type of position. This is the main purpose of an interview, but conducting a survey before hand can save both parties plenty of time. After you've hired on the employee, you could choose to conduct another survey that measures how well they are doing on the job. This could include questions about how the employee feels about the position as well. Generally speaking it's a good idea every few months or so to issue a survey, not only to rate how the employee is doing, but how the employee feels about the environment and any workplace issues. If the employee is in a position to be promoted, a great way to begin the process would be to conduct a survey to determine whether or not the employee meets the criteria for it. Step 3: Choose which way you need to create your survey. You can begin by selecting a ready made survey from the template library, uploading any existing questionnaires you may have, or you can just simply start one from scratch. How many different ways do you have to create a survey? Can you browse a giant library of survey templates to edit and customize for your own use? How about if you have your own questionnaire that you'd simply like to import? Or maybe all you're looking for is to simply start from a blank survey template. Do you have over 30 different question types that range from simple multiple choice to advanced side-by-side matrices? Or how about being able to select from various themes? 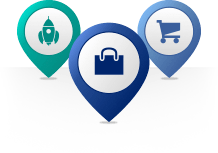 With QuestionPro, you have all of these features, plus more. When your survey is created, how many different distribution methods are there? 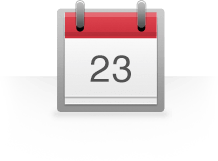 Are you able to easily import a list of email addresses into the system? If you need to embed your survey onto your website, is there embed code provided to you? How about posting to social media sites such as Facebook and Twitter? Or maybe you'd like to create a QR code that links directly to your survey - can you create one from within the editor? 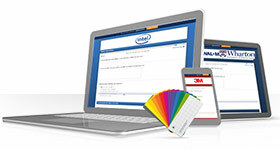 All of these are available when you choose QuestionPro. With results coming in, what can you do in terms of results and analysis? Are you able to view results coming in real-time, that include the number of respondents that completed your survey, those who dropped out and the average time it took them to complete it? How about being able to take your results and create professional looking infographics and word clouds? Or maybe you need to create data filters and cross tabs, or perhaps perform some trend or TURF analysis? If you need some more advanced analysis performed, can you export your results and bring them into Excel or SPSS? When you go with QuestionPro, you can get all of the features and more! When you're ready to start creating a survey, you can sign up with QuestionPro for free in only a few seconds. You'll have three different ways that you can start developing surveys. You can start by looking through the survey template library and picking a template to use for your survey. If there are a few questions that you already have or would like to use without typing them in again, you can easily import them into the editor. You can also start from a blank template and select various questions types and customization options. 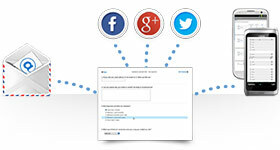 For delivery of your survey, easily upload a list of email addresses that you already have. In addition, you can embed your questionnaire directly into your website using provided embed code. If you need your survey posted to your social media networks like Facebook or Twitter, QuestionPro gives you links straight to those channels. QR code generation is easy, can be done from within the interface and links directly to your questionnaire. Plan on working offline? Download the QuestionPro app to assist you. 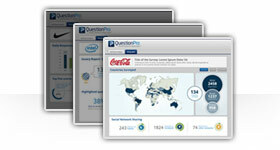 With QuestionPro, reporting and analysis is easy. When you feel you have enough information, you can create infographics and word clouds in addition to performing trend of TURF analysis. You can filter data, create pivot tables, and export your results for advanced analysis in Excel or SPSS. In addition, you can simply back up your results to cloud services such as Google Docs or Dropbox.